When you think of nuts, the most common conception is a dry fruit or casing that contains one or two seeds in it, but even though all nuts have their own unique characteristic, one nut stands out from the rest. 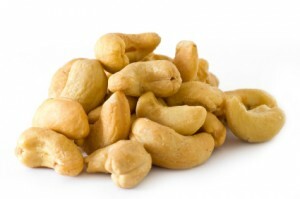 Growing on the outside of a fleshy fruit known as the cashew apple, the cashew nut is quite an intriguing nut. First of all, cashew apple is a false fruit that is meant to act as a diversion for animals from the real fruit – the cashew nut. The real fruit is what grows on the outside and conceals the valuable nut inside. 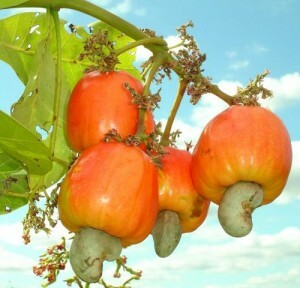 While the origins of the cashew plant aren’t Sri Lankan, the fruit has a deep rooted history and is believed to have been introduced by the Portuguese during their colonization over 350 years ago. Today while the fruit can be found in all parts of the island it is more commonly found in a part of the country Kajugama (cashew town). When you travel from Colombo to Kandy, you won’t miss the girls in their colourful dresses who emerge from their coconut leaf huts to hail vehicles to stop to buy cashews from their stalls. While the selling process has been somewhat modernized, with spiced, roasted and unroasted nut varieties sold in sealed plastic packaging, Kajugama still remains one of the most popular stops for travelers as it has been for over a century, when only a gravel road existed, and travel was done via horse carriages and bullock carts.